Alaa Mubarak in the inauguration of Mohamed Alaa Mubarak association "Photo: Internet"
The daily Akhbar El Yom newspaper has published excerpts from the ministry of justice’s report on foreign funding of NGOs. Since summertime there has been a witch hunt on, as foreign funding - particularly Western funding - is viewed as foreign intervention and manipulation of Egyptian society. The fact-finding committee, headed by judges Sameh Abu Zaid and Ashraf El-Ashamawi, discovered that a single Salafist association has received LE296 million ($50mn) from two Gulf countries. According to the report, the Salafist Ansar El-Sonna association received LE181.7 million ($30mn) from Qatar and LE114.5 million ($19mn) from Kuwait, which was approved by former minister of social solidarity Ali Meslahi on February 12, 2011. The report named those two donations as the biggest received by any Egyptian NGO in 2010 and 2011. The report also concluded that the April 6 Youth Movement had not received any foreign funding, accusations that had stalked the revolutionary movement for months. Also mentioned in the report are donations received by the Mohamed Alaa Mubarak Charity Association from Oman and UAE until July 2011, which came to LE86 million ($15.5). The association was founded in 2010 by Heidi Rasaskh, the wife of Alaa Mubarak, the son of ousted president Mubarak, who is currently in prison facing charges of corruption. The association was founded as a tribute to their son, Mohamed Mubarak, who died in 2009. It is unclear how the association operates currently, after the ousting of former president and the detention of Alaa Mubarak. The fact-finding committee also noted the foreign donations received by the NGO, Caritas Egypt, which came to more than LE155 million ($26mn). Caritas has operated in Egypt since 1967, with a focus on women and children. The report also included the donations of the American funding body USAID to NGOs working in the field of democracy development in Egypt, which came to LE65 million ($11mn) . According to the findings, USAID funded the American Democracy Institute (ADI) and the International Republican Institute (IRI) to the tune of LE40 million ($6.7mn). The report did not specify which Egyptian NGO’s received the remaining LE25 million ($4.25). For its part, the Salafist Ansar El-Sonna association has denied that any of the Kuwaiti and Qatari funds were for political purposes, but claimed they were used for charitable projects, with the knowledge of the government and the ministry of international cooperation. The Ansar El-Sonna association is considered to be the biggest charitable Salafist NGO in Egypt. The famous association’s sheikhs and spokespeople have always denied in the media that the donations it receives from the Gulf are used to fund the activities of the growing Salafist political parties in Egypt, insisting that the donations are spent on orphanages and mosques across the country. The spokesperson for the April 6 Youth Movement, Mahmoud Afifi, tweeted that the group would not tolerate any unfounded accusations of receiving foreign money. He also thanked all those who trusted in the movement despite the defamation campaign. 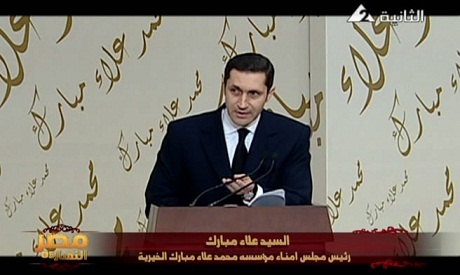 The We Are All Khaled Said Movement, an influential campaign that played a major role in the January 25 Revolution, demanded that Major General El-Rowaini, member of the Supreme Council of the Armed Forces (SCAF) and the commander of the central military zone, apologise for accusing the April 6 Youth Movement of receiving foreign funding and working against the country. Major General El-Rowaini accused the youth movement of receiving foreign funding in media statements in July. This move enflamed tensions further between revolutionary activists and SCAF and made the public call into question youth movements’ integrity. Where do the Saudi money go?